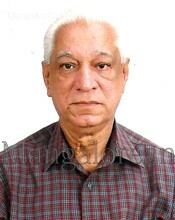 Kevin D'Souza (70), Husband of Philomena D'Souza. Father of Kenneth/Shilpa; Keith/Preetha; Karen/Mathew. Grand father of Marcus, Marwin, Simone and Isabelle. Passed away on 2nd March 2015 at Manipal Hospital old Airport Road, Bangalore. Body will be kept for viewing on Wednesday the 4th March 2015 at 10.30 AM at St Peter's Church Hall Rustham Bhagh behind Manipal Hospital, Bangalore followed by Holy Mass at St Peter's Church Rustham Bhagh at 11:30 AM.